Chelsea will be aiming to get their job done in the Europa League tie against Malmo when the two teams face each other in the last 32, first leg at Swedbank Stadion. The Blues are considered one of main favourites to win the competition this season, but coach Maurizio Sarri must warn his men against complacency. The Premier League side are likely to go all guns blazing at Malmo in Thursday’s football game and we predict that the star-studded visitors are going to prove their worth on the field. The Swedish side have yet to kick-off the new domestic campaign, which is yet another reason why we are tempted to put our money Premier League side. As always, a man to watch in the away team will be Eden Hazard, who is enjoying yet another successful season. Malmo and Higuain meet for the first time ever in European competitions. Arnor Ingvi Traustason is an Iceland international who plays for Swedish side FC Malmo as a midfielder. Born in Keflavik, Iceland on April 30, 1993, Traustason began his senior career at his hometown club Keflavik in 2010. After scoring ten goals in 52 appearances for Keflavik, he moved to Sweden in 2014, signing a deal with Norkopping. During the 2016/2017 season Arnor Ingvi Traustason was part of Rapid Wien and it has to be noted that he played for AEK Athens on loan as well. In the 2017/2018 season he signed a three and a half-year contract with Malmo for an undisclosed fee. Traustason, who represented Iceland at the 2018 FIFA World Cup finals in Russia, wears No. 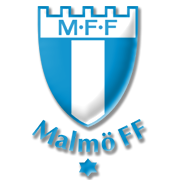 8 jersey at Malmo. His main position is left midfield, but he is capable of playing as a winger as well. Traustason’s preferred foot is right and his contract with FC Malmo should expire on December 31, 2021.